Big4 Loyalty Club Members Offer: 20% Off Store wide! 1. 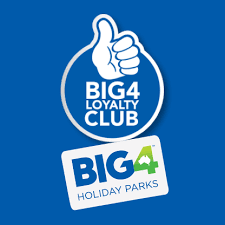 Available to all Big4 Loyalty Club Members who have pre registered on our web store*. 3. 20% Discount is in addition to any advertised special prices on our site and will be applied to our SRP or advertised prices (whichever is the lower). Excludes any applicable Freight charges.